Steven (Chicagoland, United States) on 26 March 2019 in Plant & Nature and Portfolio. 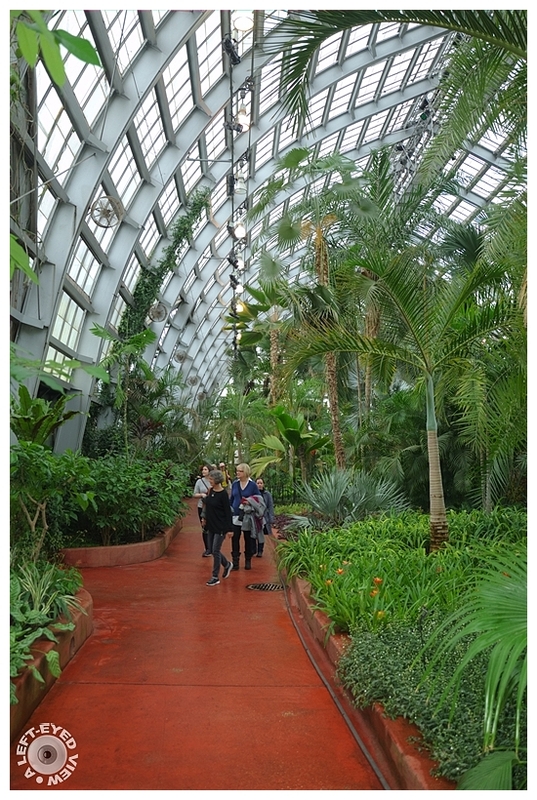 At 65 ft high and 90 ft wide, this is the largest room in the Garfield Park Conservatory. It is designed as an idealized tropical landscape, featuring more than 70 graceful palms, as well as other plants from warm habitats all around the world. Photo captured on February 2, 2019. Nice perspective and tones of green. Ah, always brings back memories of the Palm House at Kew, London. Elle est superbe cette serre ! Excellent look at the Palm House. Nice detail and color. You will have to visit London's Kew Gardens one day! Beautiful composition inside the greenhouse . Very interesting and beautiful place on to be. Waouh ! Cette serre est monumentale et permet d'accueillir de très grandes plantes ! This is a gorgeous building. I love the tall curved windows. This is a wonderful view that includes the ceiling and the tall palms. A spectacular space beautifully captured. Grandiose ! La présence des visiteurs donne une idée de l'immensité des serres ! The orange walkway is a nice compliment to the green plants. It seems like a wonderful place to visit. Magnifique cette serre... et on a un aspect tout à fait réel de son volume, grâce à la présence de ce groupe de visiteurs. Tout ce vert, c'est très beau. This is exactly the type of place I would enjoy wandering through. I imagine that inside this interior, we breathe fresh air, thanks to the presence of all these plants.